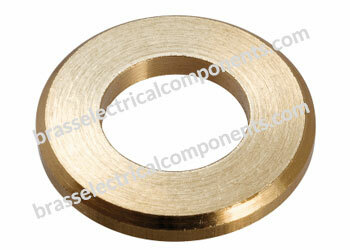 Material: 360 Brass, Any Standard Brass as per custom specification. In order to ensure that a lock to prevent unscrewing works properly, the hardness of the mating material must be lower than that of the washer. A maximum pretension loss of 20% is only to be expected as a result of creep and settling. 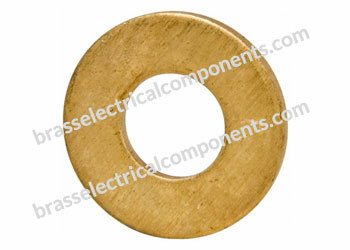 Brass Washers are therefore defined as locks against unscrewing. Locks against unscrewing, with both higher and lower pretensioning. With narrow and wide contact surfaces. 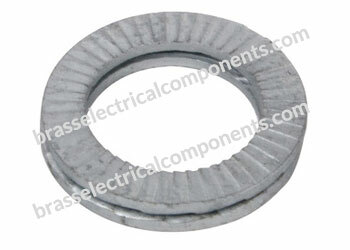 Very easy mounting and removal (wedge lock washers are already bonded in pairs). Particularly for dynamic stresses – including when lubricants are used. Can be used repeatedly with no loss of quality or comfort. Maximum security when locking screw connections. No loosening under vibration and dynamic loads. Assures locking function at high or low pre-stressing forces. Temperature range for use identical to that of the screw. Provide more uniform load distribution through controlled radii (section) cutoff. Optimum locking device for use in applications with hardened faying or bearing surfaces. Split lock washers have a split at one point along their outer diameter, which creates compression and tension to lock the nut in place. 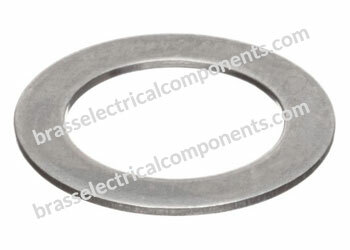 Split lock washers are used in high-vibration applications. 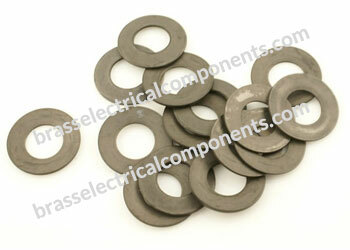 Belleville disc springs, also known as conical washers, have a curved shape that creates a spring-like action. They are used in applications that require heavy loads. Mostly used in high-vibration applications. 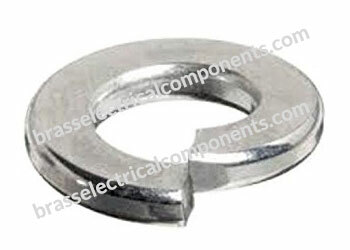 Flat washers are standard washers used for general-purpose fastening. They are placed under the head of a bolt or above a nut to distribute clamping force and prevent fasteners from pulling through materials. 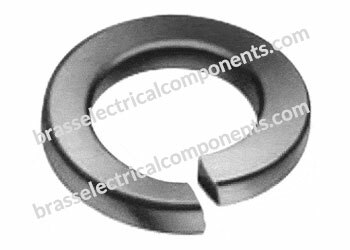 All Shims Washers are manufactured under rigorous quality control standards to assure high accuracy and tight tolerances. Round shims add support, increase insulation, improve leveling, tighten seals and provide accurate spacing. Material can be punched or sheared with minimum burring and distortion. 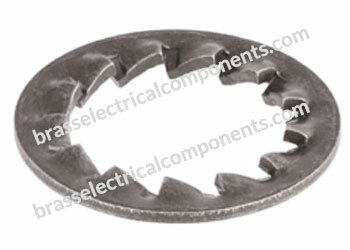 Used in applications where hardness, flatness and accuracy are required. 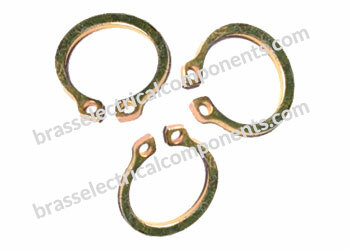 Brass Shims Washers are used in tool and die set up; alignment; new machine assembly; machine repair and maintenance; mounting of motors, pumps and other machines; short run and prototype work; along with a variety of other industrial uses. They may be used to replace nuts, threaded sleeves, cotter pin, rivets, set collars, machined shoulders and many bulkier and more expensive fastening devices. As circlips are installed in pre-cut grooves, these pre-cut grooves can often be machined simultaneously with other production process; they eliminate threading, tapping, drilling, and other costly machining operations. Speed of assembly and disassembly further reduces manufacturing costs.